How to Tell a Cold from a Sinus Infection. and how to prevent a cold from becoming a sinus infection. You are sneezing and hacking, your nose is red, congested and blocked, and you feel awful. You have a slight fever. Is it a common cold? Sure it is, but is it a sinus infection? If it is "just a cold" then it is due to a virus. This is called viral rhinosinusitis. ( rhino refers to the nose being involved). If we do a CT scan, we often find sinus cavity changes - thick mucus - in the maxillary and ethmoid sinuses. The sinus drainage passages may be blocked. Under normal conditions this mucus is drained from the sinuses by the action of cilia. These are the tiny oars that move mucus containing bacteria, dust, pollens, etc out of the sinuses and nose. With a "bad cold", the secretions may not be drained out fast enough or the drainage may be blocked. Therefore, steps to increase cilia movement, and remove blockage are indicated. If the mucus remains in the sinus cavity, then bacteria remain in place and can multiply. The rhinosinusitis is then converted to a sinusitis. Common bacteria that severe sinusitis with Hemophilus influenzae, Moraxcella cattarrhalis and Streptococcus pneumonia. They may be present in the nasopharynx and can be carried into the sinuses by heavy coughing and forceful nose blowing. The harder you blow the nose, the more bacteria are blown into the sinuses and ears. The more force you use to clear a blocked ear, the more bacteria you force into that ear. It is possible to take a CT scan in order to help differentiate a common cold from a sinus infection. But this is considered poor practice because the CT scan does not always give an accurate answer, and the cost is a factor. The findings are not as clear as for a broken bone. ( what if we took an X ray on everyone with a cold! Ugh!) Bilateral sinusitis is fairly clear cut: fever, facial pain, tenderness over the sinus and allergy induced tinnitus, redness of the nasal membranes and purulent discharge. There can be cough , sneezing and fever. But common cold symptoms may overlap. The ENT doctor has the advantage of viewing the sinus openings with a telescope (called endoscopy) and can see individual finess sinus treatment. When the discharge and symptoms are one sided and localized, that indicates sinusitis. You don't want to give antibiotics for a common cold. a. Since it is a virus, antibiotics won't cure the condition b. If you are not giving the right antibiotic and the right dose all you may be doing is developing antibiotic resistant strains. c. You build up unnecessary drug resistance this way d. Excess antibiotics are known to have serious side effects. Is to prevent a cold from becoming a sinus infection. The key steps are: - Bed rest and lots of fluids - No nose blowing or if you must, very gentle and both sides open. - Hot tea, lemon and honey. Drink till the urine turns light. - A decongestant or nasal spray to open the swollen nasal passages after the first day. - Pulsatile irrigation to remove any mucus containing bacteria. - If the drainage is heavy colored, do pulsatile irrigation twice a day - Chicken soup to improve cilia movement - Pulsatile irrigation to improve cilia movement - A relaxed attitude We have used clear and concise words in this article on Sinus Drainage to avoid any misunderstandings and confusions that can be caused due to difficult words. Herbal teas don't count. Teas without caffeine are OK. If you are a person that really gets sick with a cold, and catches cold easily, you may benefit by doing pulsatile irrigation when you need to be in the office when everyone there has a cold. By doing irrigation you remove a product called ICAM -1. This is the portal of entrance for the common cold. If there is no ICAM -1, there is no portal of entrance. What is important too, is not to panic when a cold starts. The more anxiety the less natural resistance. Spend your time and thoughts on drinking the tea and chicken soup, rest, watch TV, listen to music, and usually after the first day, the symptoms will be reduced. The concept of rushing to the pharmacy, popping all kinds of pills, spraying all kinds of nasal sprays in a desperate attempt to feel normal is what can lead to cold complications. Your body has been fighting colds for thousands of years. Give it a chance. A relaxed state the first 24 hours is the very best medicine you can buy and it doesn't have side effects! If you are a parent, the most important thing you can do for a child is to teach very gentle nose blowing. That will prevent much maxillary sinus problems. And, as has been taught for generations, the best drug for your child is chicken soup. Tea is fine too and you can use decaffeinated tea. Push the liquids. In today's world, anything you can do to reduce the unnecessary use of antibiotics, will help reduce your future need for stronger antibiotics. 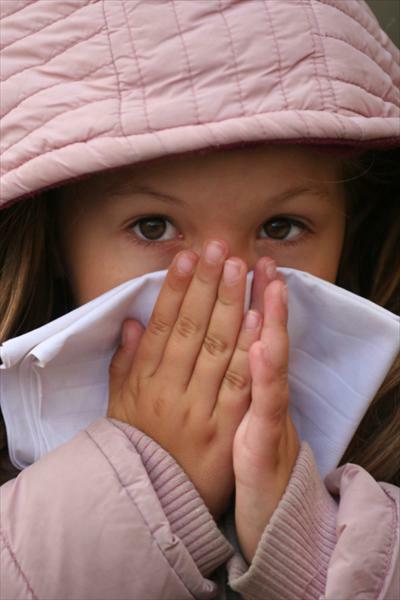 Most rhinovirus colds last a week, and most gradually improve over the next 7 - 10 days. But, if after a week the symptoms haven't changed, or are worse, then it is probably a bacterial sinus infection that needs treatment. A sinus culture can be of real value, as drug resistant bacteria exist in localized areas. Doctors obtain information about resistant organisms in their areas and can give better treatment. A serious problem about antibiotics for suspected sinus infection is that some reports show little difference in outcome in acute cases between placebo and antibiotic! It is always better to use simple English when writing descriptive articles, like this one on Sinuses Nose. It is the layman who may read such articles, and if he can't understand it, what is the point of writing it?